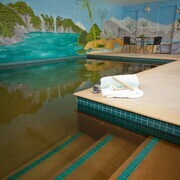 Nestled on the beach, this Mount Maunganui aparthotel is within 2 mi (3 km) of Mount Hot Pools and Blake Park. ASB Baypark is 4.8 mi (7.7 km) away. An inexpensive option in a busy area. Retro vibes with efforts to modernize. Very clean. Where to find Tauranga hotels near an airport? Where can I find hotels in Tauranga that are near tourist attractions? 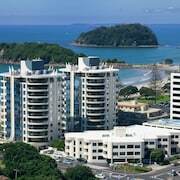 Visitors to North Island will find a wide range of hotel choices in Tauranga. Spend some time perusing Expedia's 44 accommodation listings, which are all within a 0.1-kilometre (0.06-mile) radius of Tauranga's city center. Tauranga's city center is an easy walk from accommodation such as Bennetts Thermal Pools Motor Inn and Comfort Inn Academy. Mount Maunganui is a popular accommodation area. Mount Maunganui is 8 kilometres (5 miles) from the middle of Tauranga and offers 23 places to stay. 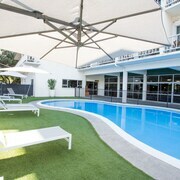 Some of the accommodations in Mount Maunganui are the Quest Mount Maunganui and Baywatch Motor Inn. The Tauranga area features a selection of affordable accommodation options that will satisfy thrifty travelers. 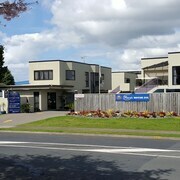 The Durham Motor Inn is 5 kilometres (3 miles) from the main part of Tauranga, while the Seascape Villa Bed & Breakfast is 6 kilometres (4 miles) away. The Cobblestone Court Motel and the Blue Haven Motel are alternative affordable hotels that you could investigate. The Trinity Wharf Tauranga is positioned 6 kilometres (4 miles) from the middle of Tauranga. Or, alternatively, the The Terraces at Ocean Beach is positioned 9 kilometres (6 miles) away. 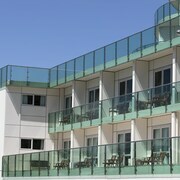 If you'd prefer, you could book a bed at the Hotel on Devonport or the Casa del Mare. Once you have seen the sights in Tauranga, ensure you allow time to visit North Island's other great offerings. Investigate North Island's art museums and nature museums and enjoy the area's beaches. Popular pastimes in this part of New Zealand include snowboarding. Whakatane is 80 kilometres (48 miles) to the east of Tauranga and is home to the Pohaturoa and Whakatane District Museum and Gallery. 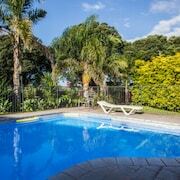 Whakatane accommodation options include the Crestwood Bed & Breakfast and White Island Rendezvous. Alternatively, you could consider staying at Hamilton, 75 kilometres (48 miles) to the west of Tauranga, where you'll find the Stadium Motel and Aspen Manor Motel. The Memorial Park and University of Waikato are a couple of the popular attractions to explore while in Hamilton. 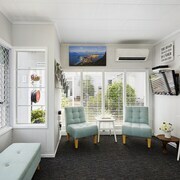 For those travelers planning on flying through Tauranga Airport, you might like to book a room at Bay Palm Motel, or Asure Harbour View Motel, which are both nearby. What are the most popular Tauranga hotels? Are there hotels in other cities near Tauranga? 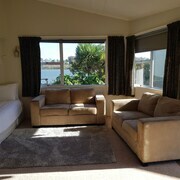 What other types of accommodations are available in Tauranga? Explore Tauranga with Expedia.ca’s Travel Guides to find the best flights, cars, holiday packages and more!